Six European organizations from the value chain of plastics committed, in cooperation with the European Commission, to launch CE platforms, the aim of which is to achieve 50% recycling of plastics waste by 2040. 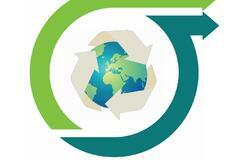 They will be the driving force behind the recycling of plastic products in Europe. reducing the amount of waste. European Plastics Recycling Association (PRE), Petcore Europe, European Carpets and Carpets Association (ECRA), CE Polyolefin Platform (PCEP Europe), European Plastics Converters Association (EuPC) and VinylPlus® have adopted a framework of voluntary commitments to continue and expand existing recycling plastics and creating additional CE inspired platforms by a good example, developed by VinylPlus® and Petcore Europe. The transition to a more circular economy is a huge task requiring strong commitment and concrete action on the part of all parties. Real industrial change can only be achieved through the strong involvement of the plastics processing industry, supported by stakeholders from the entire value chain of plastics. Detached activities are not able to change the situation. Achieving ambitious goals for sustainable development also depends on the support of national authorities and European legislators. The aim of Circular Economy platforms and their voluntary commitments is to develop common goals and activities for such a large and fragmented sector as the European plastics industry, representing over 60,000. companies (mainly SMEs). The extremely ambitious goal of achieving 50% recycling and reuse of plastic waste, as well as 70% recycling and reuse of plastic packaging, can only be achieved through platforms that cover the entire value chain: from raw materials producers, designers, processors, recipients and recyclers to the owners of so-called brand owners and distributors. The objectives are listed in the document 'Voluntary commitments for a circular economy in the plastics industry in Europe, towards 50% recycling of plastic waste'. Additional activities will be developed in the near future. Below the document to download.